HomeIs agile Alive? Dead? Misunderstood? 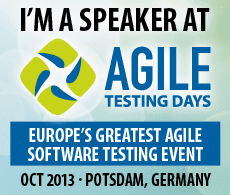 Is agile Alive? Dead? Misunderstood? My contacts in linkedIn include a lot of Agile or Lean Coaches and as expected, initially the message got some positive comments. Soon after some agile detractors joined the conversation and made it much more interesting as generally feedback that comes from different perspectives enriches the conversation adding dimensions that sometimes cannot be expressed by a biased mind. I noticed 3 interesting trends in the messages. If agile is driven by one part of the organisation, whichever it is, and trust is not built within the whole organisation, it will fail. Do it like this and agile is dead before you even start. If you try to own something that will change your organisation and run with it, you better make sure you share your vision, your responsibilities and your success with the rest of the organisation. How do you expect people outside your little world to want to follow you in this difficult change if they don’t know, understand, own and help you change. Agile/lean transformations are not driven by a department, they are driven by the whole. And the result might be that you even stop talking about departments and only talk about the whole. I have seen this very often and honestly makes me sad. A lot of scrum implementations have a Product Owner that is seen as the heart of the product, the person that understands the vision of the product and that takes the responsibility to take the important decisions for the future of the product in regards to strategy, prioritization and so on. If you look at it this way, you might think that the PO is a single point of failure, in fact what if he is not able to make good decisions, how about his bias, is he a dictator? As an agile coach I make sure that any product owner that works with me will have the tools for making good decisions. He in fact will know how to manage flow using WIP limits, he will be aware and become proficient in UX techniques, he will learn how to monitor, gather and use feedback from his customers, he will understand the importance of small experiments, he will be aware of cost of delay and when prioritising his features and user stories will have access to many advanced prioritization techniques. Being agile does not mean automatically ignoring lean startup, lean UX, research. No that is not being agile, that is being a scrum master after 2 days training. ← Testers, what business are you in? Great post but I kinda disagree. Yes, Agile is not Dead, but it is getting slowly killed. Right now lots of companies that (especially big corporations) claim to be agile when what the do has nothing in common with Agile ideals, they have maybe implemented few practices like ‘stand up’ and thinks that this makes them agile. You said it best yourself “I wonder whether the same people have even seen it alive”‘, some of them seen the only abomination of Agile, other like me Have seen agile, and also have seen how Corporations can pervert the idea of Agile and kill it. And it is dishearting. I think I went on a rant, so I will close it here. Agile will thrive in places when it is done well. But it is endangered when larger corporations are screwing it up, it will start to get a bad name, which will lead to its death.The name will become diluted, and most people will associate Agile with the failed implementations, and it will lose its original meaning. Just because I have a pipe wrench doesn’t make me a plumber. Just because I have a flat blade screwdriver doesn’t mean it will open a tin of paint AND adjust my spectacles. I need a different screwdriver for each case. Just because I’ve read ‘Become an expert in fly fishing’ doesn’t make me an expert in fly fishing. Agile is too often misunderstood to be a process rather than a philosophy. Too often agile is misunderstood as facilitating increased speed, increased delivery times and reducing cost irrespective of the starting point. Agile is too often misunderstood to be impervious to deliberate, or accidental, sabotage. Agile is too often misunderstood to be an ‘out the box’ solution that requires no adaption to work or create no errors/mistakes. Where agile does die, perhaps it should.